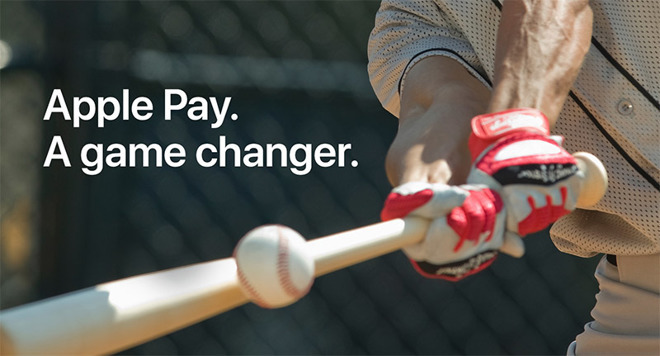 Apple this week continued its weekly Apple Pay promotional campaign with a new offer from sports apparel and accessory purveyor Fanatics, which is granting a discount on purchases paid for with Apple's payments service. Advertised in an email to customers on Thursday, the Apple Pay promo provides a 20 percent discount on orders of $25 or more. Users can grab their discount through the Fanatics app or online at Fanatics.com, though the latter requires the code APPLEPAY20 at checkout. The deal runs from today to 11:59 p.m. EDT on April 4. Apple notes select brands and merchandise are excluded from the program and urges users to check availability in the Fanatics app. Along with a link to download Fanatics, Apple's email includes a sampling of sports stores that accept Apple Pay, each with Maps local outlets. Today's offer is the latest in an ongoing Apple Pay campaign that in past weeks included specials from car parking service SpotHero, Instacart, sneaker buying service GOAT, Dunkin' Donuts and 1-800-Flowers. Most recently, Apple earlier this month partnered with Eat24, Grubhub and Seamless to offer free deliveries on Apple Pay purchases, and handed out free song credits for TouchTunes. Apple launched the weekly Apple Pay promotion campaign late last year, initially offering a $5 iTunes gift card to shoppers using Apple Pay at certain online merchants including JCPenney, Macy's and Warby Parker.